Here’s a pretty cool compilation for all you sons and daughters of baby boomers who were their kids in the late 1970s and early 1980s! If you were a hair above a little tyke back then who used to stay home on Friday nights like I did when I was just turning the corner into my teenage hood, then it’s a sure bet you couldn’t wait for the latest episode of The Dukes of Hazzard, the hit CBS show that took the adventures and escapades of two “good ol’ boys” and brought them into the homes of millions. A person by the name of Treva Graham has made a compilation of every jump of the “The General Lee” during Seasons 1 through 6. 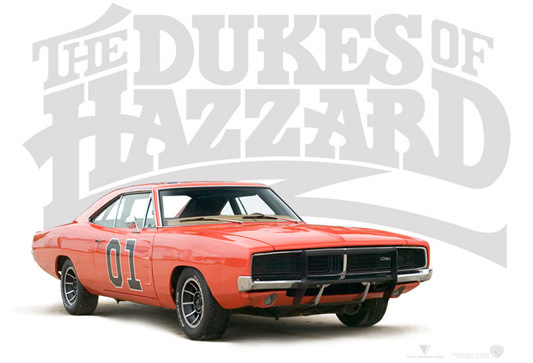 The famous vehicle, a 1969 Dodge Charger, was like its own character on the program, which originally ran on the air from 1979 to 1985. Check out the video here below.